In our whitepaper, there is a reference to allowing advertisers to transact with publishers through the use of a smart contract. 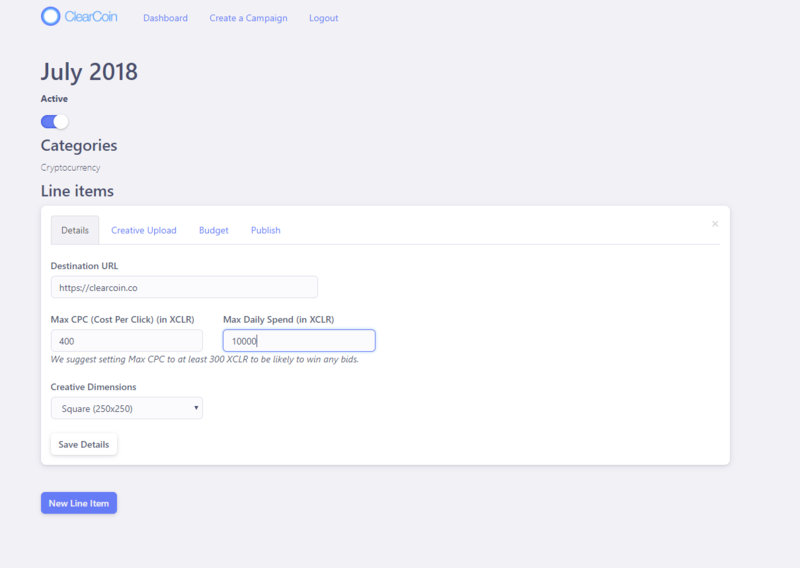 This functionality is available sooner than we thought because as we built our ad server we decided it’s the best way to set up these transactions. The advertiser is considered the “demand side” while the publisher is considered the “supply side”. 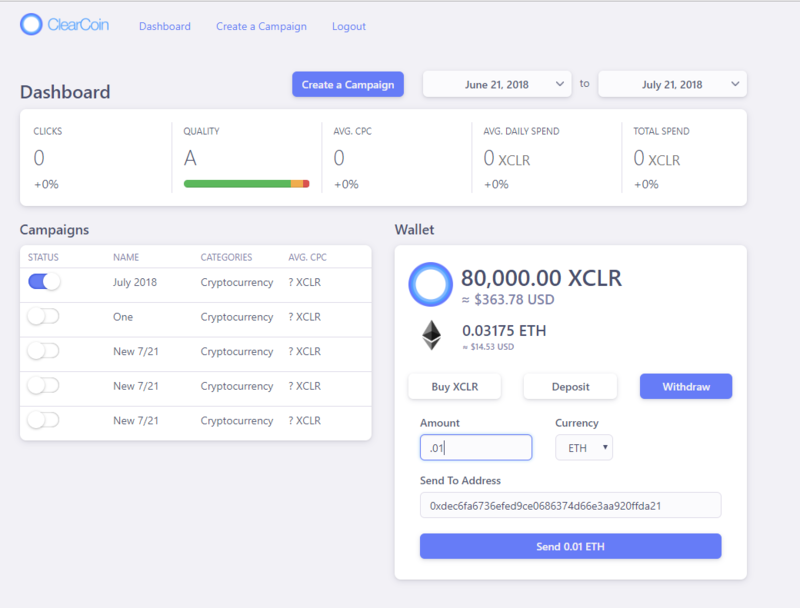 When setting up an ad campaign within the platform, the user will be guided through a process that results in publishing the ad buy to Ethereum’s blockchain. The steps to do so are outline below. 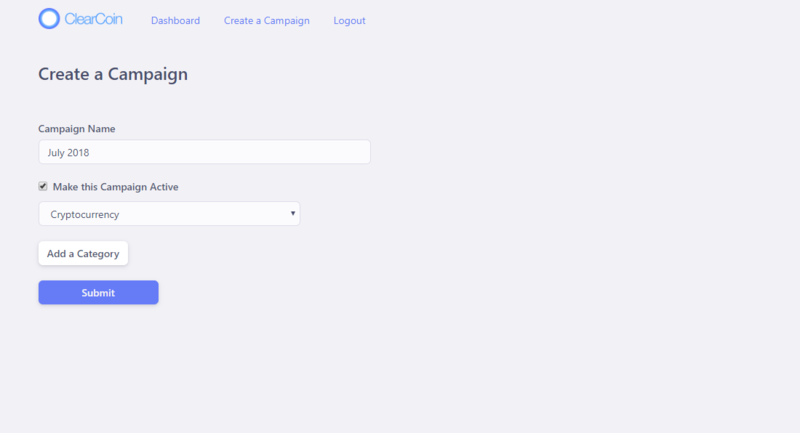 The process starts from the dashboard of the Platform by using the “Create Campaign” button. 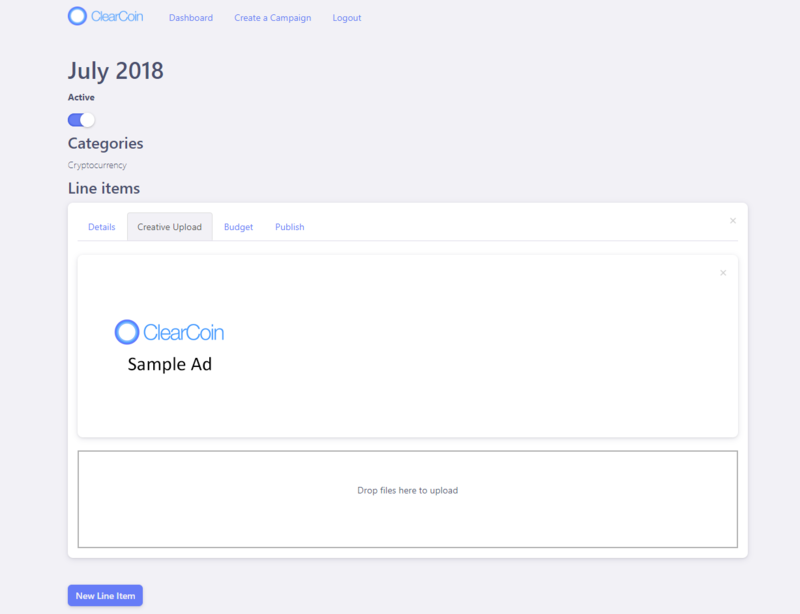 For this test campaign, we’re calling it “July 2018” with the category selected as Cryptocurrency. For this test campaign, we are using a sample ad that has dimensions of 250×250. The line item is assigned a wallet address that needs to be funded with the budget for the ad campaign. It also needs a small amount of ETH to publish the smart contract to the blockchain. 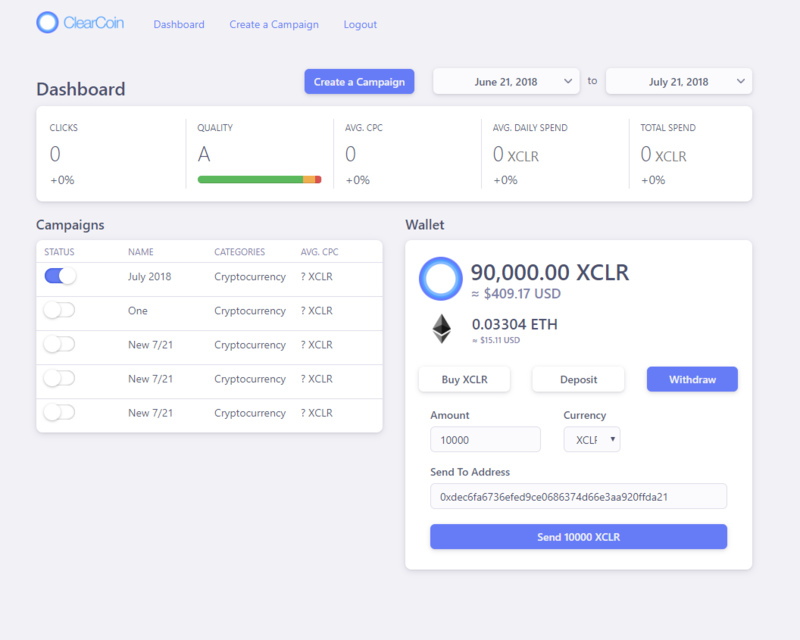 We’re going to send 10,000 XCLR to the Line Item address which represents the lifetime budget of the line item that we created. The transaction was successful with the green message appearing confirming the transaction. We need to send some ETH for gas so that we can publish the smart contract to Ethereum’s blockchain. Between .005 to .01 ETH is recommended. 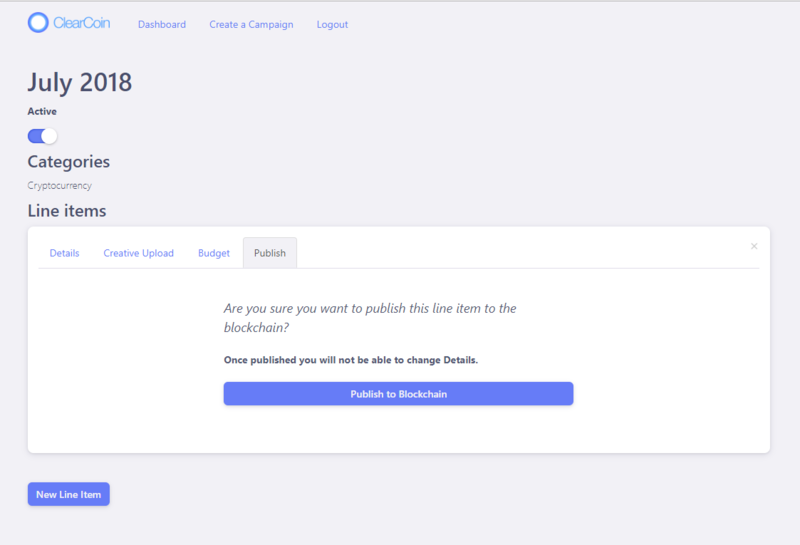 By using the Publish to Blockchain button, we will publish the data of this line item to Ethereum’s blockchain. 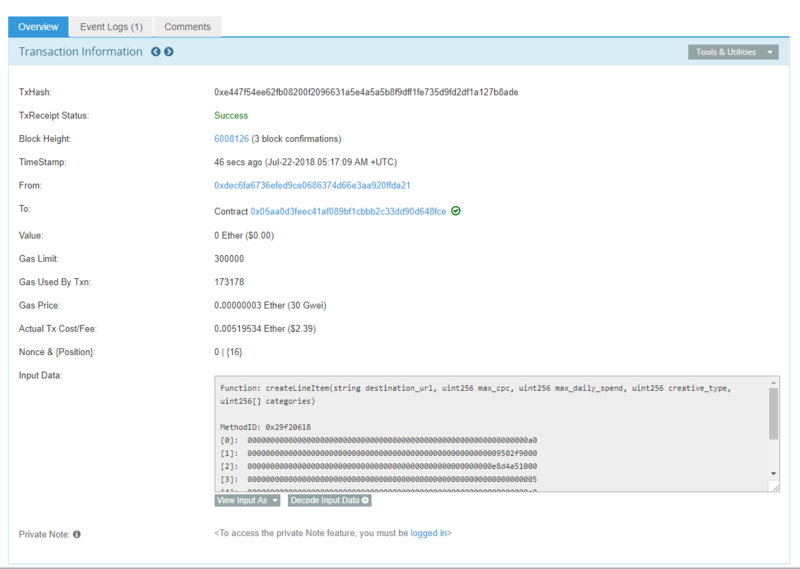 The message indicates the Line Item was successfully published to the ETH blockchain. A review on Etherscan shows the transaction was successful. The “Decode Input Data” button from the last page reveals the information we entered related to the line item. 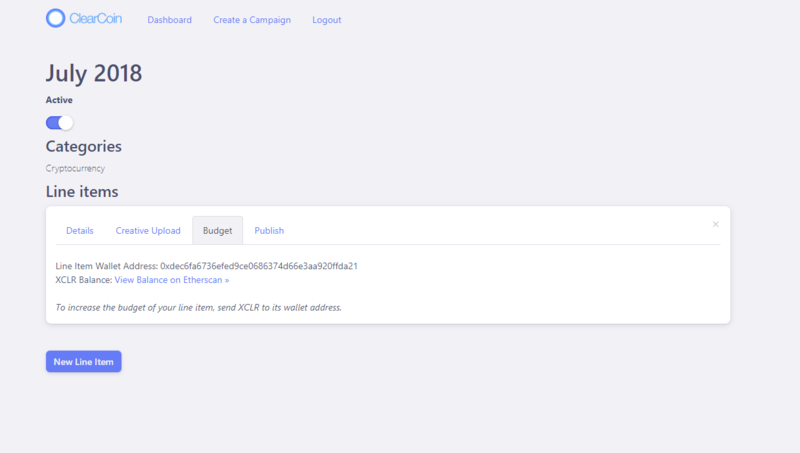 This is the first iteration of the ad server and ad smart contract functionality. 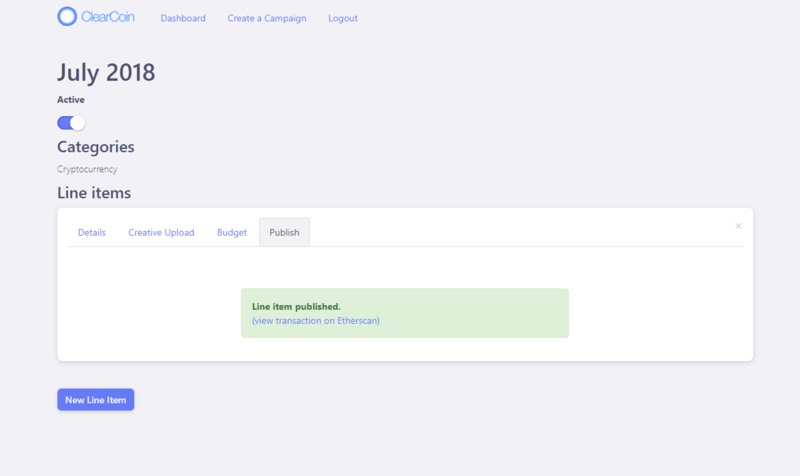 There is a pending feature to allow payments to be released to the publisher periodically or when the line item runs out of budget. 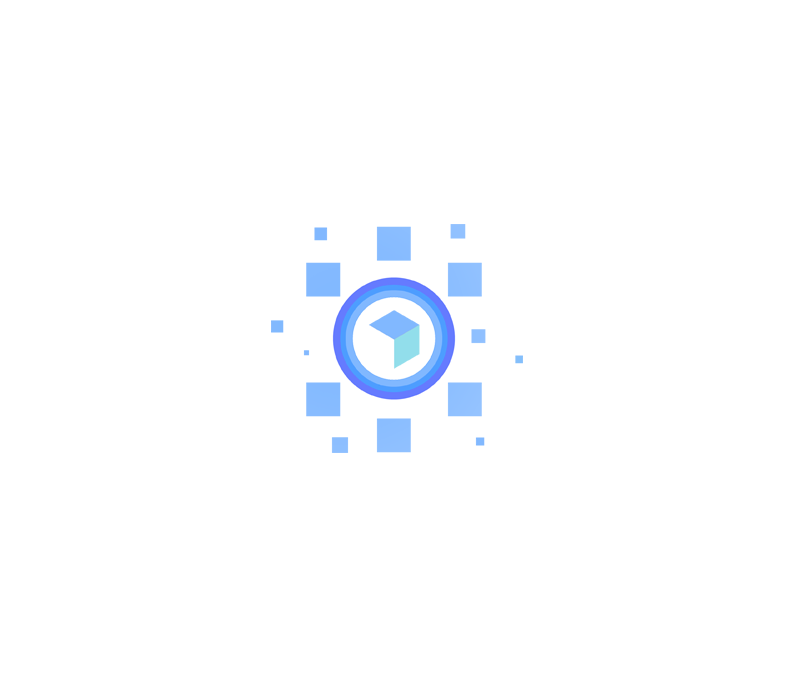 The ad smart contract function is one use case where using blockchain can redefine how an industry has usually worked. Typical ad contracts in the media buying world may delay payments to publishers for 60 to 90 days. 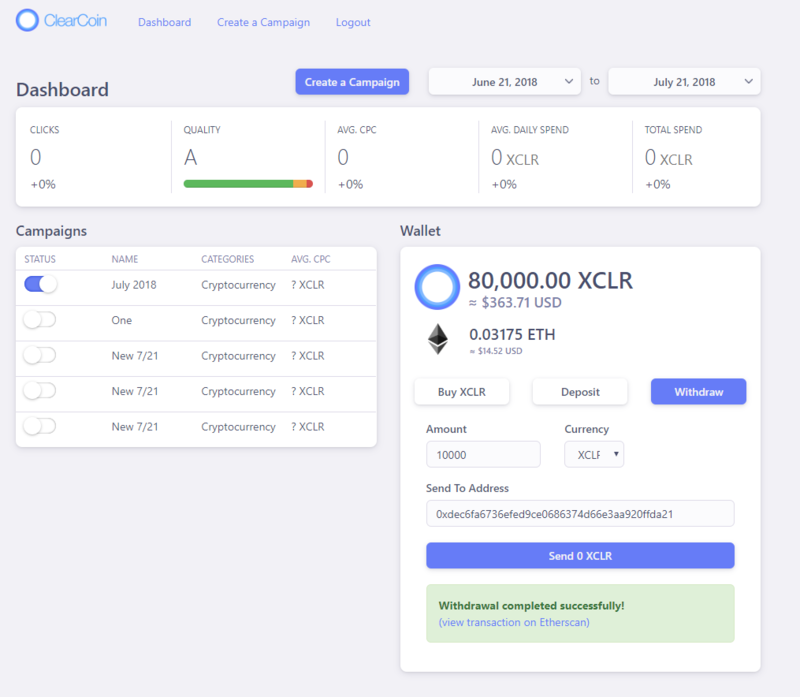 While we continue to perfect the smart contract ad server model, we are in active discussions with demand side and supply side partners to create a more active network for the XCLR token. 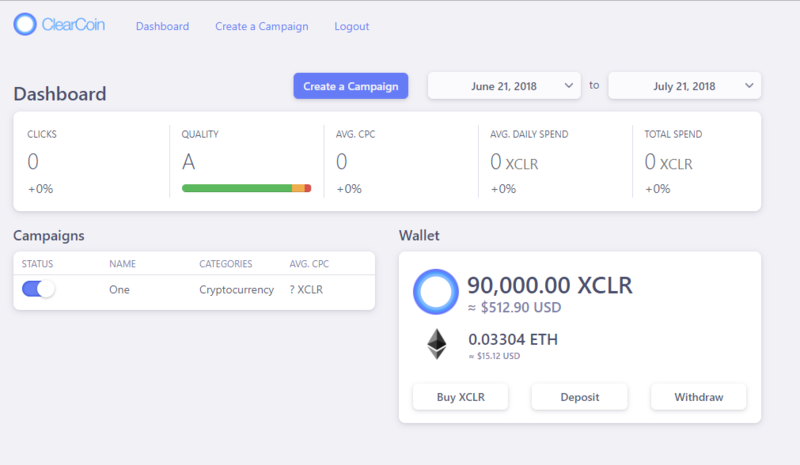 With the right demand side and supply side flow, we believe there will be more activity for the XCLR token. As we work to create and grow this network, we will announce new updates in the near future.